Need to find gifts for your loved ones? Enjoy drinking hot chocolate and eating tasty Christmas cookies? Do your kids want to meet Santa? Well, then this is the event for you! 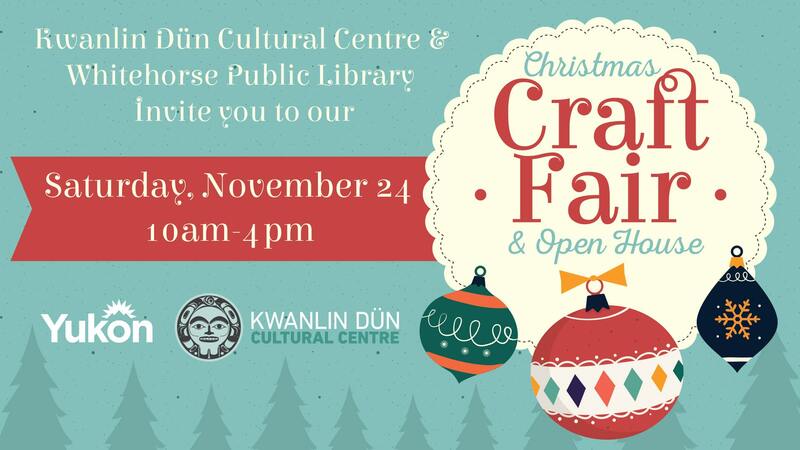 The Kwanlin Dün Cultural Centre and Whitehorse Public Library invite you to our Annual Christmas Craft Fair and Open House! Join us on Saturday, November 24 from 10:00am to 4:00pm for a day of festive fun. For more information please go to our Facebook Page.